Free download Mushroom Age game for PC. 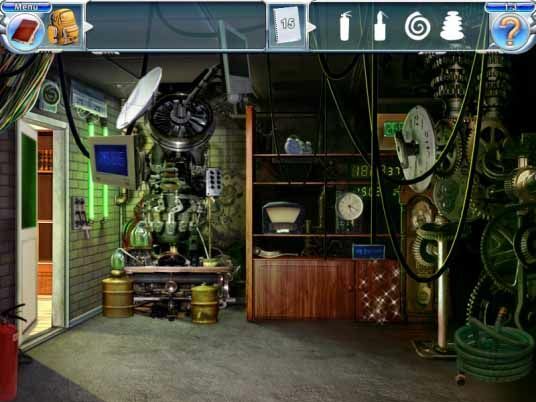 It is an IQ based game in which you have to search the hidden things. According to its publisher, the Mushroom Age is a classic love tale of girl finds boy, girl losses boy, girl chases boy… in a crazy adventure that spans several historic eras! Download free full version game now! Our heroine, Vera, is desperately searching for her fiance, Tom, who has disappeared a few days before their wedding. She stops by the TimeLab where Tom works to see if they don’t have him working on some super top-secret project. When she doesn’t believe the staff, she searches the lab for her fiance and accidently activates a time machine. And thus she embarks on a race against time and through history to find her fiance and save the world from futuristic evil powers that want to change history and destroy the world. Solve interesting puzzles and play mesmerizing mini-games with pre-historic characters like a dinosaur and a caveman, historic personages like Socrates and Nostradamus, robots and bad guys from the future, not to mention characters not bound by the confines of time! So why is it called the Mushroom Age? You don’t expect us to tell you everything, now do you?